What is EMI Shielding and Why is it Important for Your Design? Electromagnetic interference (EMI) can disrupt electronic devices, equipment, and systems that are used in critical applications. Examples include medical, military, and aerospace electronics; mass transit systems; industrial touch screens; and navigation and vehicular control systems – just to name a few. The causes of EMI are numerous, and include both man-made and natural sources. The results can range from temporary disturbances and data losses to system failure and even loss of life. Our EMI shielding and thermal interface material portfolios are designed to give customers the ultimate in design flexibility. For engineers, it’s important to recognize how electromagnetic energy (EME) in the application environment can cause interference. Without this basic EMI awareness, you may design gaskets that lack adequate protection against electromagnetic fields in the radio frequency (RF) spectrum, the part of the electromagnetic spectrum with frequencies from 3 kHz to 300 GHz. RF waves form the basis of radio technology, but they can also transmit signals that interfere with wireless communications. In general, EMI sources can be divided into two major categories: ambient EMI and power quality problems. Railroad and mass transit systems, medical equipment, and military applications also face their own specific challenges. Increasingly, intentional EMI (IEMI) also represents a threat to non-military assets such as the power grid and other types of critical infrastructure. Some of these threats are extreme, of course, but all engineers need to assess EMI risks in order to incorporate appropriate protection into their gasket designs. 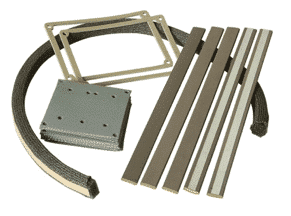 EMI shielding gaskets are mechanical devices that help protect electronics from electromagnetic interference. Traditionally, EMI shielding has been fabricated from metal sheets and formed into shapes that fit electronic housings or enclosures. Aluminum, copper, and steel are strong and rigid, but thin metal sheets can deform under the pressures that are required for sealing. Once metal EMI shields are deformed, they tend to remain in that shape and may allow leakage to and from electronic circuits. Today, EMI shielding materials include flexible metal screens, metal wires, and metal foams. 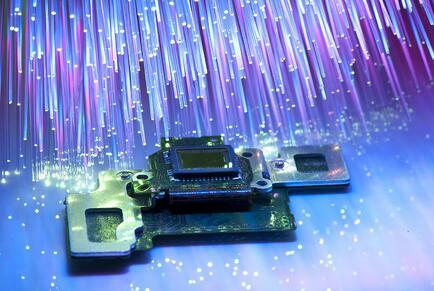 Coatings made of metallic inks are also applied to the interiors of electronic enclosures to provide EMI shielding. Each of these shielding methods has its advantages, but particle-filled silicones combine the electrical properties of metals with the material properties of silicone rubber. For product designers who need to meet a variety of sealing and insulation challenges, silicones filled with metal or metal-coated particles are an excellent choice. For example, the EMI gaskets that are used in some ruggedized touchscreens are made of particle-filled silicones that attenuate EMI emissions, provide electrical conductivity, and ensure environmental sealing in conditions ranging from desert heat to arctic cold. These EMI shielding gaskets must cushion the device from mechanical shock and be soft enough to avoid interfering with the display’s touch function. Material costs and ease-of-fabrication are also important for gasket designers in many different industries. Particle-filled silicones are used in some demanding applications, but can these conductive elastomers really meet all of your application’s requirements? Are EMI shielding gaskets made of these materials cost-effective, and do particle-filled elastomers support design for manufacturability? Silicones resist sunlight, water, and a wide range of temperatures, but loading them with a high percentage of metal particles can have negative tradeoffs. That’s why historically, some EMI gasket designers rejected particle-filled silicones as too hard or too brittle. Other engineers have complained about part size limitations based on mold dimensions and long lead times for sheet materials. Some industry professionals also believe (incorrectly) that all particle-filled silicones are just too thick to support thinner electronic designs. The cost of older, particle-filled products also discouraged their use. For years, the filler material of choice for shielding silicones was silver-aluminum. The U.S. military’s development of the MIL-DTL-83528 specification played an important role in this particle’s popularity. When silver began approaching $50 per Troy ounce in 2011, however, the fact that these elastomers were specified on thousands of gasket drawings and prints became problematic. EMI gaskets made of silicones filled were pure silver were even more expensive. Today’s electronic designers can specify alternative particle fills that cost less but still provide strong EMI shielding. In addition to silver and silver-aluminum, silver-copper and silver-glass are used. Today, cost-effective nickel-graphite silicones perform at the shielding level of silver-aluminum products. These nickel-graphite silicones meet the shielding effectiveness requirements of MIL-DTL-83528, which sets a minimum shielding effectiveness of 100 dB at RF frequencies between 20 and 10,000 Hz. Thanks to innovations in silicone compounding, particle-filled elastomers can meet demanding shielding requirements along with other project specifications. For example, because nickel-graphite silicones are available in 30, 40, and 45 durometer (Shore A), they’re soft enough for enclosure gaskets. Other, higher-durometer shielding elastomers that use fluorosilicone as the base elastomer can resist fuels and chemicals. These fluorosilicone compounds come in 50, 60, and 80 durometers (Shore A) for applications that require EMI gaskets made of harder materials. Unlike older shielding elastomers, newer shielding materials contain enough metal filler to ensure effective EMI shielding and electrical conductivity. Plus, these conductive silicones support reliable, cost-effective fabrication. During gasket cutting, particle-filled silicones won’t stretch or become deformed. Connector holes align properly, and the material’s structural properties support greater tear resistance – an important consideration for thinner wall gaskets. Product designers can also specify the use of an adhesive backing for ease-of-installation. For shielding applications where Z-axis conductivity is required, particle-filled silicones can support the use of electrically-conductive adhesives. Various higher-durometer, nickel-graphite silicones are available, but some EMI gasket applications require reinforcement for added strength. That’s why EMI materials include products such as 65-durometer elastomer that’s reinforced with an internal nickel-coated mesh. Lower-durometer, nickel-graphite silicones can also be reinforced with an inner layer of conductive fabric for added conductivity and material strength, which helps to prevent brittleness and tearing during EMI gasket fabrication. Do you have questions about EMI sources, EMI shielding, or conductive silicones for elastomeric shielding gaskets? The Technical Team at Modus Advanced, Inc. is ready to help. For more information, please contact us. Steve is an award-winning technical writer who loves material science and manufacturing. 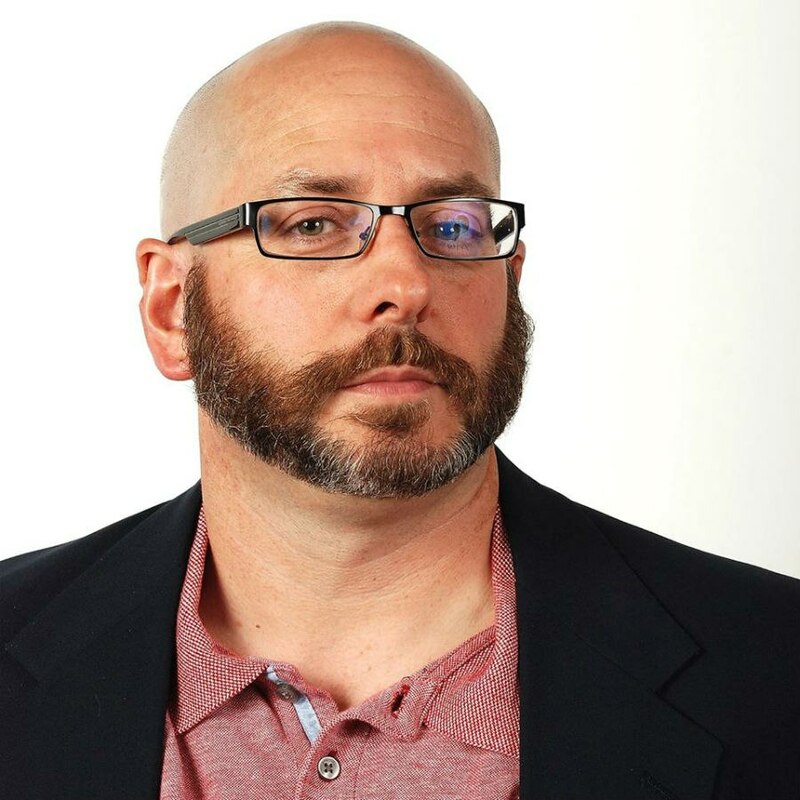 As the owner of Thunderbolt Business Services, he creates content for companies who inform, engage, and delight engineering audiences. That’s why Steve supports Modus Advanced Inc. all the way from his home in the beautiful Berkshires, where the winters are long but the fishing is good.